Splitting most parts from my M2...but not all. As pretty much usual, I want the frame sold before anyything else goes. I bought this as a standard bike back in the early summer, it was in new condition as it had been used once, then languished in a bedroom since 2000. Anyway...lets start with the frame. 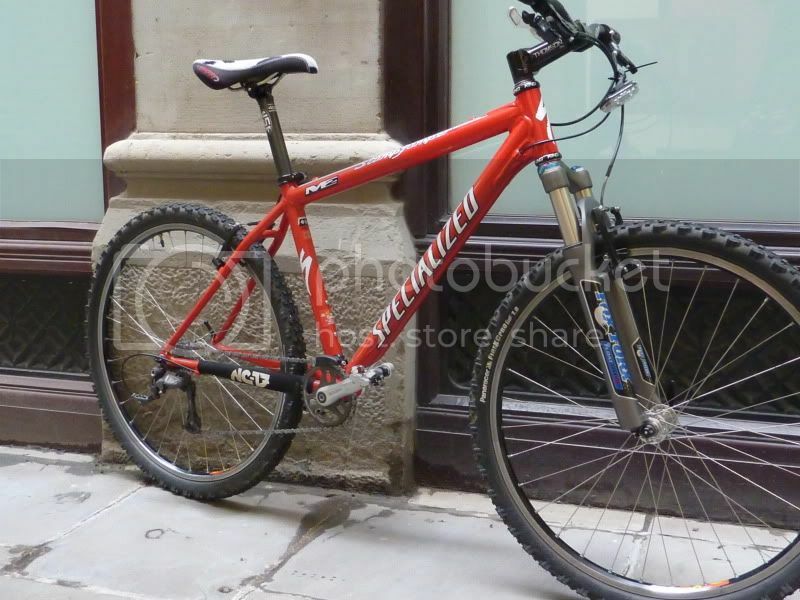 2000 M2 Specialized Stumpjumper in classic red. I believe these were the last of the USA built frames. Top tube about 22" actual and 22.75" effective. I'm about 5'9" ish with stumps for legs....fits me fine. Red and glossy with a few blemishes, all paint related, no dings. Little chip on rhs down-tube, two from storage on lhs down-tube. Small scrape on rhs seat-stay. A couple of little scratches on the top-tube decals. Some very small 'chain' chips on the chain-stay. Overall this is a lovely frame....and all-day comfortable too. Looking for £125 collected or £135 posted. V brake or ISIS disc mount. Steerer is a tad over 185mm. Please save you time by not asking about anything else on the bike as yet, I have not decided what to use on my next project. Please please please, reply here if you are interested in anything, then pm me. Last edited by Harryburgundy on Sun Jan 03, 2010 12:41 pm, edited 1 time in total. First dibbs on the headset when your ready. Thanks Pete just the frame to go folks....included in the frame price is the black Hope QR seat-post clamp. 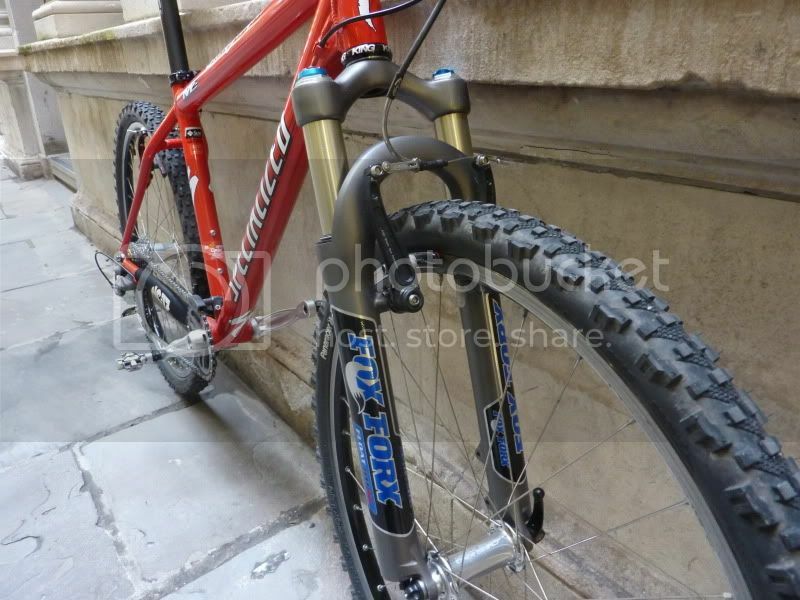 I would also include the carbon USE Sumo post (some scratches to the rear) for an additional 30 pounds. You know...in the last year I have had an 853/Columbus frame, a Ti frame etc etc....and I always come back to an M2. Seriously great frames....I'll give it a few days to see if anyone wants to buy the frame. If it doesn't go I will just keep it....I'm not going to sell it cheap for sure. Dibs noted guys.....I will split regardless in a weeks time or so....I'll give you each a pm to see if you still want the bits. I've got a '93 M2 and its just an amazing ride ! This frame looks to be in good nic ...whoever buys this won't be dissappointed ! Thanks Woody.....unless you have had an M2, I don't think you can know how flipping good they are.